I was about to post the new trailer announcing the console release of Farming Simulator 2013. I was hoping this was a joke, and the game would actually let us hunt colossal ninja dragons in enormous zombie-powered steampunk mechs or something like that. It turns out it's a game that simulates farming in 2013. Go figure. I would have known this had I read the our Co-Op Review of the PC version, or if I simply remembered the article I wrote about the sim back in October. After watching the trailer I realized I had better do some research on the world's oldest profession. I soon discovered farming is NOT the world's oldest profession, but I continued my research anyway. A few hours later I stumbled upon the Farming Simulator 2013 home page. I noticed some disturbing details. When I toggled between the PC and console versions of the game I saw some features were missing. The Xbox 360 and PS3 versions lose a few bulletpoints available in the PC build, which is not uncommon. I can forgive the loss of "additional growth states," "placeable buildings," and "virtual dynamic terrain," but they're also missing the option to "Play with your friends on the Internet or LAN in multiplayer mode." What? Is the console version getting the single player shaft? We reached out to their PR team for details. We were told to rest our weary heads, the "current plan" is to keep the co-op support in place. That's a relief. We'll let you know if things change. We do know there's plenty of timed exclusive content for the console release that includes the amber waves of grain of the American heartland. Maybe they'll let us strap some flamethrowers to our tractor cabs and battle Monsanto geneticists and attorneys, but I doubt it. 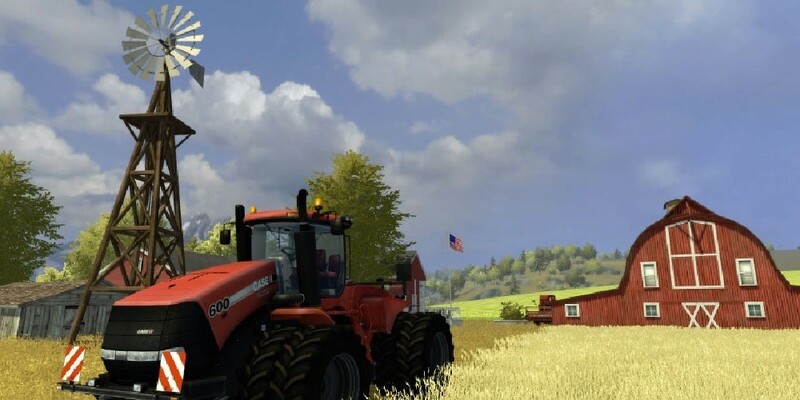 The PC version of Farming Simulator 2013 supports 10 player LAN or online co-op and is available now. The Xbox 360 and PS3 should support the same features. They'll launch during the first week of September. Page created in 0.3561 seconds.